From psychologist and children’s friendships expert Eileen Kennedy-Moore and parenting and health writer Christine McLaughlin comes a social development primer that gives kids the answers they need to make and keep friends. Friendship is complicated for kids. Almost every child struggles socially at some time, in some way. Having an argument with a friend, getting teased, or even trying to find a buddy in a new classroom…although these are typical problems, they can be very painful. And friendships are never about just one thing. With research-based practical solutions and plenty of true-to-life examples—presented in more than 200 lighthearted cartoons—Growing Friendships is a toolkit for both girls and boys as they make sense of the social order around them. Children everywhere want to fit in with a group, resist peer pressure, and be good sports—but even the most socially adept children struggle at times. But after reading this highly illustrated guide on their own or with a caring adult, kids everywhere will be well equipped to face any friendship challenges that come their way. Brandon wishes he had someone to play with at recess, but he doesn’t know how to connect with others. His body language—looking away, standing apart, even tuning everyone out by reading his book—tells them, “I don’t like you, and I don’t want to hang out with you!” That’s not what he’s feeling, but that’s the message he’s sending. What can Brandon do to Reach Out to other kids and show them he’s interested in being friends? Have you ever noticed what happens when you arrive at school? Kids say, “Hi!” And they don’t just announce “Hi!” to the air. They greet specific people. They look them in the eye, they smile, and they often say the other person’s name. Try this experiment: The next day you go to school, count how many greetings you hear. You may be surprised by how often kids greet each other. Greeting people tells them you’re happy to see them. It’s also important to smile and say hi back when someone greets you. If you look away and say nothing or just mumble something, the other person might think you don’t want to be friends. You may want to practice friendly greetings. They won’t instantly get you friends, but they open the door to friendship. The more you practice greetings, the more comfortable you’ll feel doing them. Start by greeting family members. Then think of kids at school you can greet. Use your face and your body language to show that you’re happy to see them. Use their names to make the greeting personal. And be ready to respond in a friendly way when someone greets you. Sometimes kids don’t want to greet others because they worry that they won’t get a response. They’re afraid of feeling foolish or getting rejected and being embarrassed. But you’ll stand out more if you don’t greet people. You don’t have to be best friends with people to greet them. You just have to know them a little bit and think they’re nice. A friendly greeting takes only a few seconds but it goes a long way toward setting a positive tone and showing other kids that you’re interested in being friends. Asking questions shows someone you want to know more about them. The best questions to ask begin with what or how because they tend to get longer answers that can lead to a conversation. One or two questions is usually enough at one time. More than that gets annoying. You don’t want to turn the conversation into an interview! Avoid asking why questions because they can sound mean. It can seem like you’re asking, “Why did you do such a dumb thing? !” even when you’re not. 2. Give an honest compliment. 3. Do a small act of kindness. Being kind is a great way to start a friendship. An act of small kindness tells kids that you like them and it makes you feel good. Be careful not to give away money or favorite things of yours. If the act of kindness is too big, the other kids might feel pressured, and you might feel bad if they don’t return the favor. 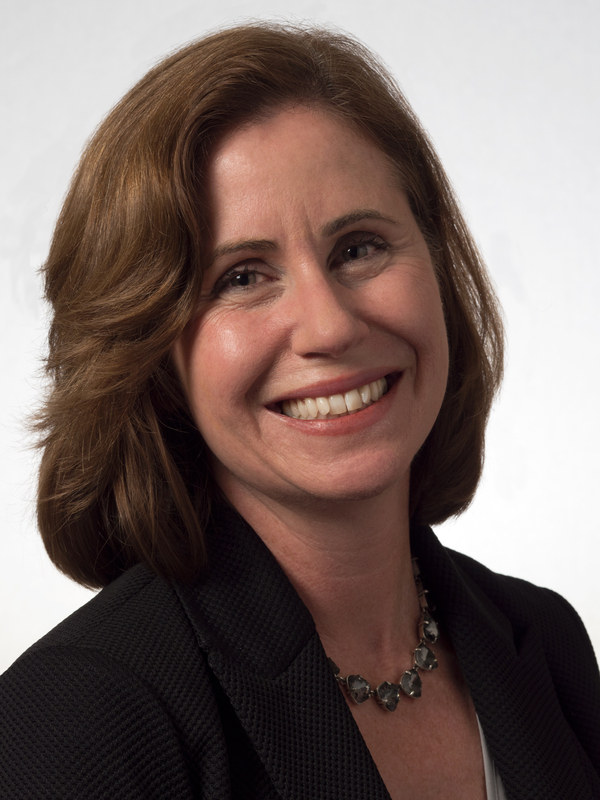 Eileen Kennedy-Moore, PhD, is an internationally published author, psychologist, and mother of four. She is a trusted expert on parenting and children’s feelings and friendships who is frequently quoted in major magazines and newspapers and has been a featured guest on national radio and television shows. Her books have been translated into seven languages. She is a professor for the Great Courses, serves on the advisory board for Parents magazine, and writes the popular Growing Friendships blog for Psychology Today. Dr. Kennedy-Moore has a private practice in Princeton, New Jersey, where she works with adults, children, and families. 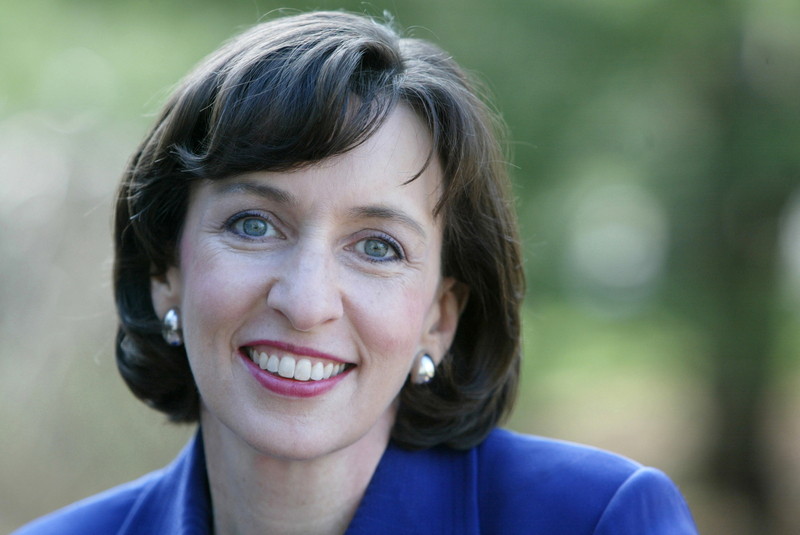 Visit her online at EileenKennedyMoore.com. Christine McLaughlin is a prolific freelance writer, editor, and author whose work focuses primarily on parenting and health. She has published several hundred articles in national magazines and high-traffic websites. She is also author of The Dog Lover’s Companion to Philadelphia, Philadelphia: A Photographic Portrait, and Bayada: 40 Years of Compassion, Excellence and Reliability, and coauthor of the American Red Cross: Dog First Aid and Cat First Aid books. She and her husband live in the Philadelphia area with their three children and a lovable golden retriever. Visit her online at ChristineMcLaughlin.net. "Finally! A gap in the literature of friendship is filled. 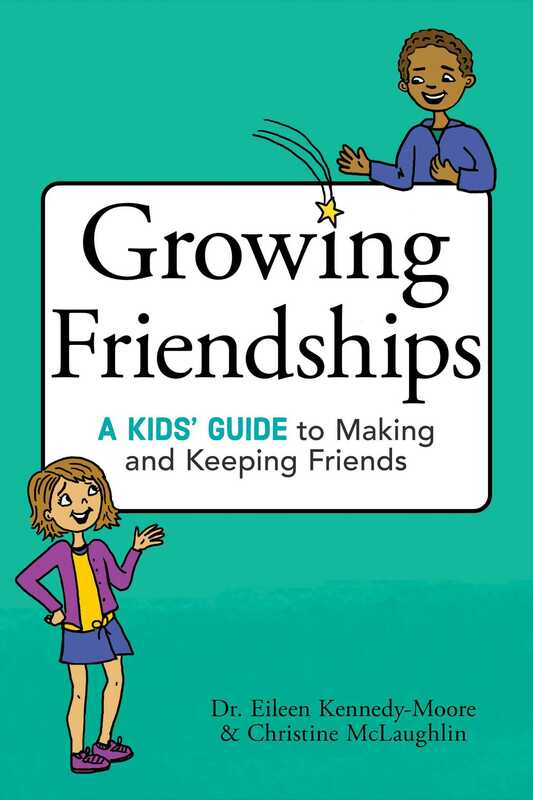 Growing Friendships is profound and subtle, clear and humorous. Anyone, of any age, who reads it will benefit." "Kids who have social skill challenges often view friendship as an event or a product (Hi, I'm Michael. Let's be best friends and have a sleepover tonight.). They do not understand that friendship is a PROCESS with specific steps and sequences. Eileen Kennedy-Moore brings a wealth of experience, knowledge, and sensitivity to this issue. Her book Growing Friendships teaches kids the strategies they can use to establish--and maintain--peer relationships. Her unique and entertaining format holds the child's attention and makes these complex concepts understandable and within reach. It will be an invaluable tool for parents and professionals as they try to prevent their child from hearing the most dreaded words in childhood: 'Sorry, you can't sit there. That seat's taken.' "
"For any child struggling with friendships, this book will be a source of comfort, guidance, and fun, with its wonderful illustrations and child-centered dialogue. Counselors, psychologists, and parents, this is a book to read with the children you care about." Written for kids (specifically 6 -9 year olds) this is a book that parents will want to read as well. It offers some terrific advice for helping young people navigate the complicated waters of social interaction. These authors return to the basics to explain social and face-to-face communication skills to children who are living in a mostly virtual world. What appears to be silly dialogue between a cartoon cat and dog, actually contains some powerful lessons about how to approach and interact with other children. The fact that it makes these encounters humorous allows children to feel more comfortable about risking personal contact with other children. Making friends and keeping them, joining the fun, how to share, when to say NO, dealing with bullying, joining a group, and moving past conflict are all topics which are discussed in kid-friendly terms with real-world applications. In our fast-paced and disruptive world, we’re losing sight of the kitchen-table wisdom that children used to take refuge in. This book puts kids and their parents back in touch with basic, tried and true, social skills, and the ways in which those skills can be used.